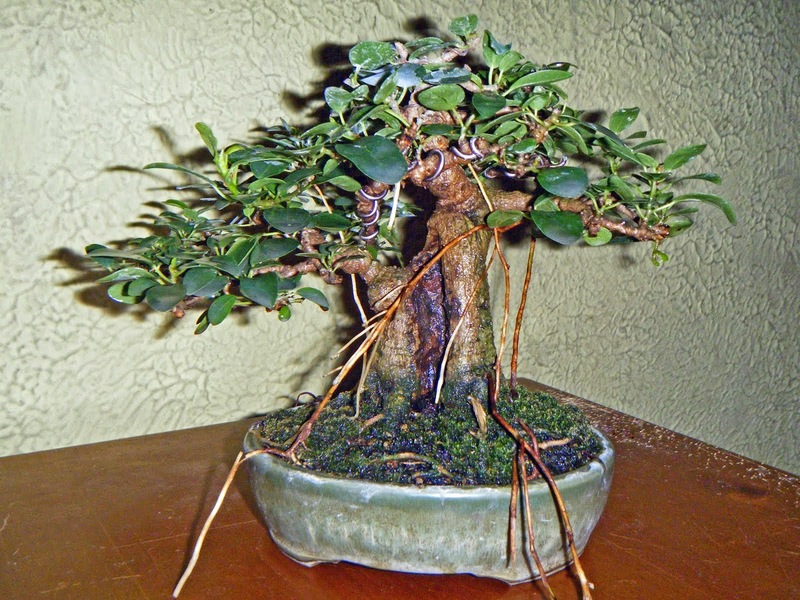 Bonsai in Hoosierland: Turface or not Turface -- an active question. Hagedorn's position can be found here: http://crataegus.com/2013/11/24/life-without-turface/ Please read his position thoughtfully. Jack prepared a response to Michael's post about Turface for his local bonsai society, so that people could have as complete a picture as possible. Given his level of expertise, I consider it a very good idea for others outside his bonsai society to also be able to read his thoughts. Since Jack has no blog, I offer here his response about Turface, and two of his pictures, with his permission. Please read his position thoughtfully, as well. I have had great respect for Michael Hagedorn since I first met him in the late 1990's. If Michael tells us he has been seeing a pattern of failing bonsai with anemic, thready root systems when grown in Turface, I have no doubt this has been happening. This is reason for concern, something we need to be aware of. At the same time, Michael's observations ("Life without Turface") have been quite a surprise to me. In 47 years of experience using Turface as a soil mix ingredient – including in trials using a variety of ingredients in many combinations -- I have never had the experience Michael describes, and have always recommended its use without hesitation. Attached are a couple of my photos of roots, grown in mixes containing more than half Turface; trident maple single trunk and cotoneaster multi-trunk. Furthermore, many successful bonsai growers, people I know personally, have used Turface for years without seeing it as a cause of problems. Clearly something is going on here which defies easy explanation. For now, my advice is to stay alert and open to new insight. And keep experimenting, comparing other mixes with the combinations you are presently using. But don't feel you need to stop using a soil mix ingredient which has been completely satisfactory for you just because others have experienced problems with it. I've been told the first law of [airplane] wing walking is, "Don't let go of what you've got hold of until you've got hold of something else." Trident maple (Acer burgueranum). Photo by Jack Wikle. Cotoneaster (Cotoneaster spp.) Photo by Jack Wikle. In case it needs to be said, it is not my intention to quarrel with either of these men. Both Jack and Michael have been gentlemen, addressing an issue rather than attacking people. I do have a personal position on the issue, which will become clear in a moment. But I've learned from both these men -- Jack the more, but that's not germane at the moment -- and I too want to preserve the civility of the debate. I've been using Turface as a primary ingredient for more than 20 years -- using a recipe I got from an article of Jack's, in fact. I've killed my tuition-quota of trees, but I've never had a root problem that appeared to have any relation to Turface. Not to brag, but I've gotten some root development to rival Jack's pictures above. I have found Turface to be hydrophobic only when it has been allowed to dry out excessively; but the same is true of sphagnum peat and composted bark. I have had root problems when I have used any ingredient, Turface included, without first sifting out the fines.